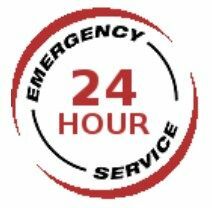 There is never a good time to have a plumbing emergency and this is why MD Hoyland Plumbing & Maintenance offer a full 24 hour 7 day a week emergency call out service with a guaranteed response within 1 hour. Call us today on 0800 047 5922 or 0774 384 5841. If you find yourself in a position where you have a plumbing emergency, firstly turn off the main water valve as most of these problems will start from some issue related to water. Doing this will stop potential further damages to your home. When done call us to find and resolve the problem. For most businesses having a plumbing emergency will be different due to the higher amount of people and size of the premises and can result in more serious problems as the pressure on pipes and drainage systems increase. We are a fully accredited plumbing company with over 10 year’s experience. We offer a 24/7 service with a guaranteed 1 hour response time. Call us today for free on 0800 047 5922 or 0774 384 5841 for all your emergency plumbing issues.